It has been assumed that weight is a factor in the reduced success of IVF treatment for women with a Body Mass Index (BMI) of 25-30. Now new clinical evidence produced by Bourn Hall Clinic suggests that this group of women will have an equivalent chance of success if they are given a specific drug protocol. Being overweight is known to have an impact on male and female fertility, and where obese women have irregular or no periods losing weight can stimulate ovulation. To maximise the chance of natural conception and a healthy pregnancy, it is recommended by the National Institute for Health and Care Excellence (NICE) that couples have a BMI of 19-30. 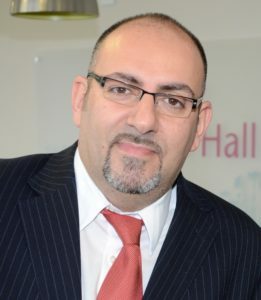 Dr Thanos Papathanasiou, Lead Clinician for Bourn Hall clinics in Cambridge and Norwich, has a particular interest in applying personalised fertility treatments. Presenting his findings at the British Fertility Society Conference, “Fertility 2018”, he said: “A weakness in clinical research is that most trials focus on women with a BMI of 18.5-25. Those with a higher body weight are typically excluded from these studies, so little is known about the effect of ovarian stimulation drugs on this group of women. “It has long concerned me that women with a BMI of 25-30, although still accepted within the strict NHS guidelines for IVF treatment, have lower success rates. The two protocols* selected were Long Downregulation (LDP) and Antagonist. The study compared the outcomes of women with an average BMI of 22 with those of 27-28 for each protocol. All other factors, including age, cause of subfertility, previous IVF treatment, starting stimulation dose, use of ICSI technique and number of embryos transferred, were accounted for. Women treated with the LDP protocol showed a significant difference in pregnancy rates. The lower-weight group had an average 45% pregnancy rate compared to 31% for those with a higher BMI. However, the success rates for the two groups treated with the Antagonist protocol were similar: 41% for those of the lower weight compared to 39% for the higher weight group. Dr Papathanasiou says the results are informing current practice: “Both protocols are widely used during IVF. The LDP protocol has been historically the ‘gold standard’ protocol in IVF. Bourn Hall Clinic was instrumental in the development of this protocol during the early years of IVF. “However, when these early protocols were developed, only a small minority of the population had a BMI of over 25, (defined by the BMI healthy weight calculator as “overweight”). Now many more women are in this category and this could impact on the effectiveness of the drug protocols. “The study also suggests that the lower success rates achieved for these women during IVF may not be just as a result of the ‘obesity’ factor, but instead that outcomes for this group can be improved through the improved selection of stimulation protocol. “Our treatments are always adjusted to the needs of the individual. LDP (Long Downregulation Protocol) – There is a down-regulation phase to control the woman’s natural cycle, followed by ovarian stimulation to increase egg production. Antagonist Protocol – Ovarian stimulation commences without prior down-regulation. Instead, an antagonist drug is introduced during the course of stimulation to prevent ovulation and, therefore, allow the retrieval of eggs for IVF. Engel JB, Ludwig M, Junge K, Howles CM, Diedrich K. No influence of body weight on pregnancy rate in patients treated with cetrorelix according to the single- and multiple-dose protocols. Reprod BioMed Online. 2003;6(4):482–487. Esinler I, Bozdag G, Esinler D, Lale KS, Yarali H. Luteal-long GnRH agonist versus flexible-multidose GnRH antagonist protocols for overweightand obese patients who underwent ICSI. J Obstet Gynaecol. 2015;35(3):297-301. Kawwass JF, Kulkarni AD, Hipp HS, Crawford S, Kissin DM, Jamieson DJ. Extremities of body mass index and their association with pregnancy outcomes in women undergoing in vitro fertilization in the United States. Fertil Steril. 2016;106(7):1742-1750. MacKenna A, Schwarze JE, Crosby JA, Zegers-Hochschild F. Outcome of assisted reproductive technology in overweight and obese women. JBRA Assist Reprod. 2017;21(2):79-83. Maheshwari A, Stofberg L, Bhattacharya S. Effect of overweight and obesity on assisted reproductive technology–a systematic review. Hum Reprod Update. 2007;13(5):433-44. Marci R, Lisi F, Soave I, Lo Monte G, Patella A, Caserta D, Moscarini M. Ovarian stimulation in women with high and normal body mass index: GnRH agonist versusGnRH antagonist. Gynecol Endocrinol. 2012;28(10):792-5. Peduzzi P, Concato J, Kemper E, Holford TR, Feinstein AR. A simulation study of the number of events per variable in logistic regression analysis. J Clin Epidemiol. 1996 Dec;49(12):1373-9. Rittenberg V, Seshadri S, Sunkara SK, Sobaleva S, Oteng-Ntim E, El-Toukhy T. Effect of body mass index on IVF treatment outcome: an updated systematic review and meta-analysis. Reprod Biomed Online. 2011;23(4):421-39. 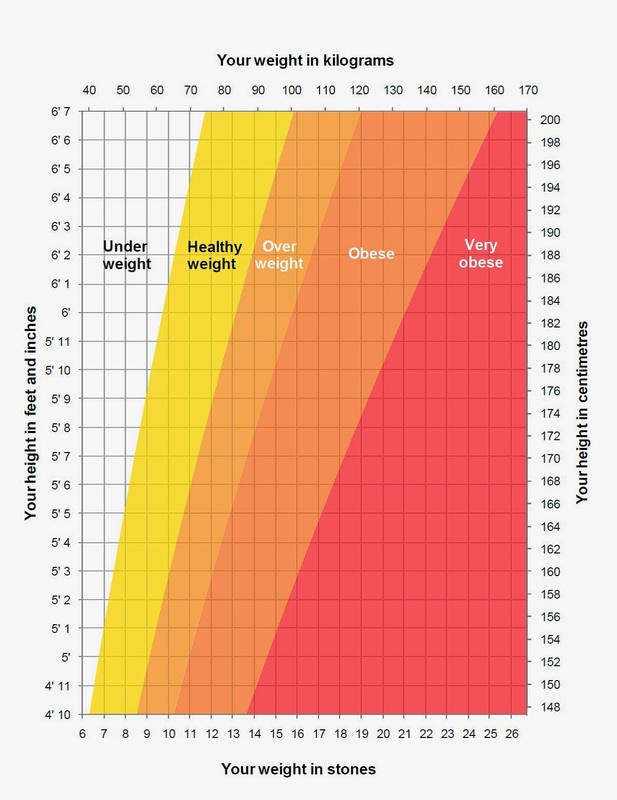 Calculate your BMI on the NHS website here.